The LSN mantra is that raising capital is a numbers game. To succeed, you must find investors that are a fit for your product and stage of development, go global rather than restricting yourself to your local region, and target all ten categories of early stage life science investor rather than restricting your view to one source of capital. Every few months it seems that someone in the investment world has an epiphany that they must create a global family office network. The idea always seems compelling and usually involves a plan to sponsor small, intimate conferences that target companies seeking investors. The network creators begin courting the venture community and healthcare CEOs with descriptions of the family offices that allegedly bought in and will attend these conferences — and the price to appear at them is often a lot of money. The attending fundraising CEOs theoretically benefit from getting in front of the new hot category of investor, and it’s suggested that the family offices will participate in such a small meeting in return for the chance to trade strategies, tactics, and evaluations with other similar entities. This model and concept is all about getting special access, which sounds almost too good to be true…right? Having been involved in capital fundraising for decades, I have seen this model surface countless times. Many of these family office networks can provide examples of the allocations and partnerships their network has generated; the question is how many and how much? This model has been called a “walled garden” because of the illusion it perpetuates of a bevy of family office players banding together in a closed, almost secret network who can be accessed by paying a fee for a chance to connect with the right contact. While these networks may include at least a handful of contacts with whom a dialogue can be established, I have yet to encounter a walled garden family office firm that employs any research staff to track what the family offices’ investing interests are. This is an absolute necessity for staying up to date on investment mandates, which are ever-changing—without accurate data and an understanding of the possible fit between your company and the investor, contact information has tenuous value. Additionally, most family offices (institutions with over $1 billion in assets under management that form one of the categories of investors that LSN tracks) would rather not be a part of any organization that would compromise their anonymity; these firms are well known for a predilection for stealth mode and a preference for flying under the radar. Because they have access to large sums of capital they do not need to form syndicates, so have little to gain from the walled garden model. As for the opportunity to share information and strategies behind a virtual secret wall, family offices already source from each other and don’t need third parties or service providers to facilitate this. Also, while syndication does occur regionally and within close networks of like-minded family offices, it doesn’t seem relevant on a global scale simply because of the low ratio of family offices to fundraising CEO’s. The larger Family Office conferences can be useful to fundraising executives, offering the possibility of contact with a handful of family office representatives, but these bigger venues are primarily populated by family office service providers who are also being charged high fees to attend. 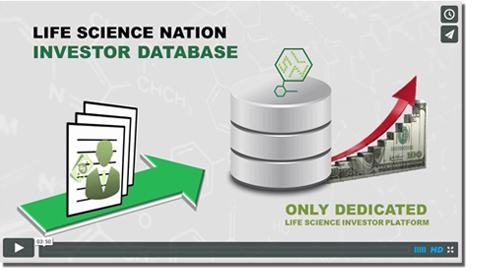 LSN tracks 970 family offices globally, has identified 180 as private life science investors, and has forged a deeper relationship with 70, which use LSN as a trusted sourcing vehicle. This is also true of the other nine categories of investors that we track. Many family offices see us as a trusted source that has proven our worth and provides a compelling and augmenting service offering that can be vetted quickly for no cost. But we recognize that focusing too much on one category of investors, especially a group like family offices, can be counterproductive, which is why over three years we have built up a true global network of over 5000 early stage investors covering ten categories.